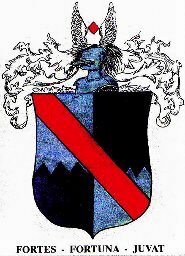 WELCOME TO MY PAGE OF BLOMFIELD COATS OF ARMS AND CRESTS. MY NAME IS HELENA GRACE BLOMFIELD AND I AM RESEARCHING ALL BLONVILE-BLOMFIELD DATA AND ASSOCIATED NAMES RE HISTORY AND PEDIGREE. I HAVE FOUND FOUR COATS OF ARMS BELOW . IF ANYONE HAS ANY MORE AND WISHES TO SHARE I WOULD BE GRATEFUL TO HEAR FROM YOU. THE BLOMFIELD COAT OF ARMS IS DERIVED FROM THE BARONY OF RYE, NORMANDY . 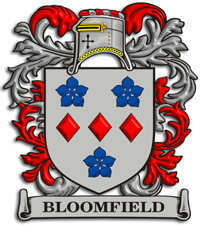 BLOMFIELD ARMORIALLY INDENTIFIED WITH BLONVILE FROM THE LORDSHIP SO NAMED NEAR CAEN AND TOUQUES. 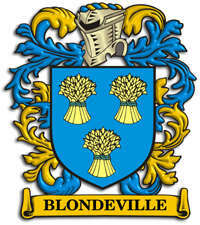 THE NAME OCCURS AS BLUNDERVILLE, BLOMVILE, BLUMVILE ETC. RICHARD de BLUMVILE WAS A BENEFACTOR TO RICHARD 1; TO BLIBURGH ABBEY SUFFOLK. CATHERINE AND WILLIAM de BLOMVILE WERE POSSESSED OF SIX MANORS IN NORFOLK. PLEASE ENJOY THE SITE AND OUR WONDERFUL BLOMFIELD HISTORY AND PEDIGREE. STEPHEN BLOMVILE OF MOUNTNESS IN ASPEL STONEHAM SUFF.=JOANE da.of STUDD. STEPHEN BLOMVILE OF MOWNEYS=ANNE da.of HENRY of WALLINGTON SUFFOLK. STEPHEN BLOMVILE OF MOWNEYS IN ASPEL STONEHAM GENT 1664=ELIZABETH da. 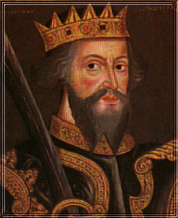 of HENRY BARRINGTON OF COLCHESTER. STEPHEN SONNE & HEIRE AET. 21 1664. BLOMFIELD OF CODNAM, VISITATION OFSUFFOLK, 1664. SYMON BLOMVILE als BLOMFEILD OF CODNAM IN COM. SUFFOLK.=ELIZABETH da.of PENNING OF IPSWICH SUFF. SYMON BLOMFEILF als BLOMFEILD OF CODNAM.= ALICE da.OF JOHN LEA OF CODENHAM SUFFOLK. WILLIAM BLOMVILE als COM.SUFF. JUSTICE of PEACE=MARGARET da.of JOHN COLE OF BILDESTON SUFF. JOHN SONNE & HEIRE AET.21 AN 1664. 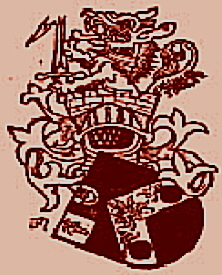 A variation of the Blomfield Crest, supplied by William Blomfield CANADA.